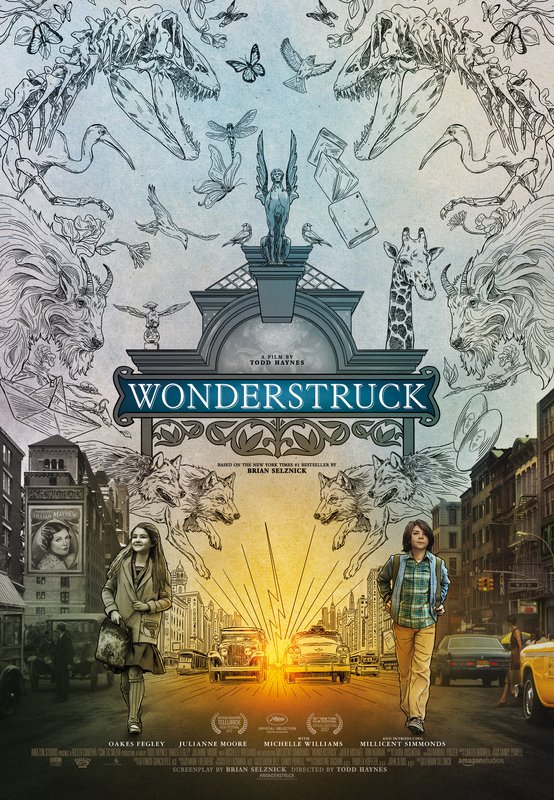 Based on a book by Brian Selznick, Wonderstruck tells the interconnecting stories of Rose (Millicent Simmonds), a young deaf girl in 1927, and Ben (Oakes Fegley), a preteen boy in the Midwest in 1973 who goes deaf when lightning strikes his house, who both run away to New York. Although the film isn’t getting a physical release in Canada, it’s now available on iTunes, as well as a variety of other VOD platforms. Directed by Todd Haynes, Wonderstruck is one of those films that seemed like an awards player in theory, but ultimately came and went. Although I found it to be somewhat uneven overall, there are still enough elements to like about Wonderstuck to make it mildly worth a rental for families. You can read my full review of the film right here. The iTunes extras include the five bonus featurettes American Natural History Museum, Cabinet of Wonders, Featurette on Milie, The Miniatures, The Panorama and The Worlds of Wonderstruck, which offer brief but interesting looks at the amount of craftsmanship that went into making the film. Wonderstruck is an Elevation Pictures release. It’s 116 minutes and rated PG.